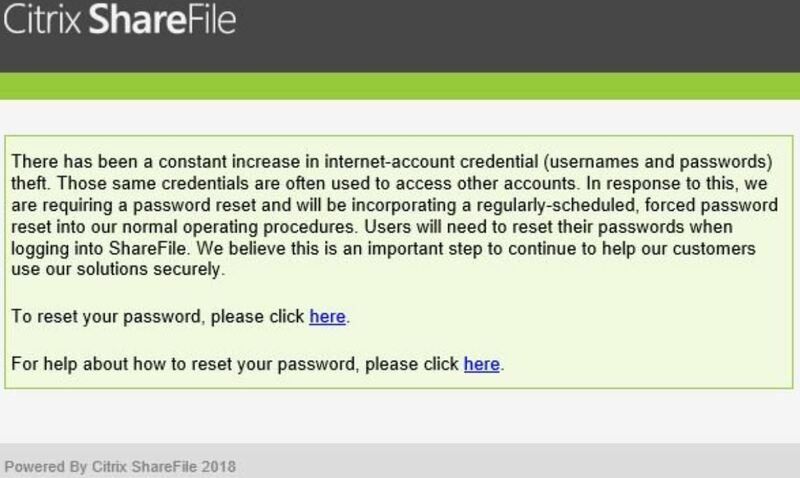 A recent password reset email from ShareFile (a Citrix company) put some users on edge, questioning both the emails legitimacy and why the reset. Very seldom do we ever get a “please change your password” email from a cloud vendor; unless it’s in response to a data breach, most of us, at best, have seen a request to update passwords as part of a routine logon. However, comments from the Krebs article on this password reset email stated that even users with multi-factor authentication in place received the email. The unexpected timing of the email, and the unsolicited nature of the request made many users question whether the email was indeed a phishing scam leveraging common social engineering tactics. We’ve seen scams seeking LinkedIn, eBay, and Google credentials under the guise of a “password reset”, so it’s not unreasonable for IT folks to be on edge. The ShareFile email highlights the reality of reset scams and the necessity for organizations to protect themselves by educating users on scams that include password reset requests. Security Awareness Training elevates the security-mindedness of the employee through education on attack methods, specific scams, the use of social engineering, and appropriate response. 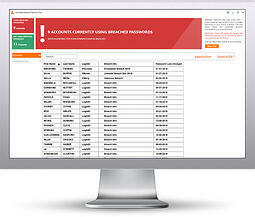 Which Of Your User’s Passwords Are Breached? KnowBe4’s Breached Password Test (BPT) checks to see if your users are currently using passwords that are in publicly available breaches associated with your domain. BPT checks against your Active Directory and reports compromised passwords in use right now so that you can take action immediately!